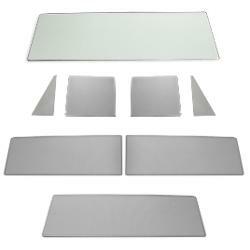 This Complete Glass Kit includes ALL the Window Glass to replace every window in your 66-77 Ford Bronco. Windshield has a glare reduction tint, all other glass has a gray tint. 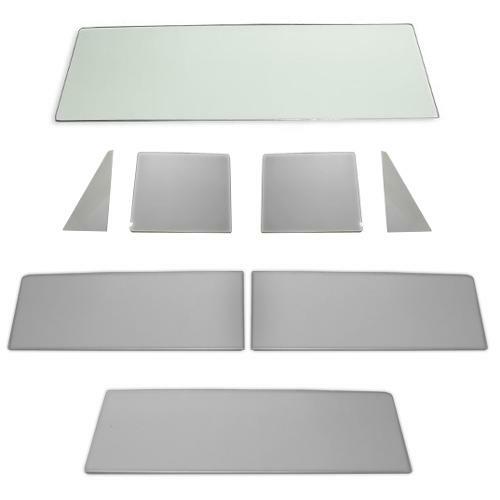 Gray tinted glass allows 53% light in and is legal in most states (check with your local authority for tint restrictions in your state) All glass in this kit meets or exceeds OE standards. Shipping will be quoted after your order is placed. We will not charge your card until the shipping total has been approved.